Movie fans were deeply saddened to read about the separation of Channing Tatum of Jenna Dewan. The gorgeous Hollywood spouses had been married for nine years after falling head over light-footed-heels on the set of dance movie Step Up. The pair have an adorable four-year-old daughter Everly together, and from the outside their marriage appeared to be a dreamy rom-com happy ending. However, no relationship is perfect, no matter how famous the couple are. Now a Hollywood source has revealed what they allege is the real reason their paths have divided, and it’s way too relatable no matter what profession you are in. The source told Page Six how the split is ‘due to spending more time apart because of the pressure of work’. Both Channing and Jenna are devoted to their daughter and have worked hard to spend as much happy family time together, despite the problems in their relationship that the distance has seemed to magnify. There are no secrets or salacious events at the root of our decision – just two best friends realizing [sic] it’s time to take some space and help each other live the most joyous, fulfilled lives as possible. It seems as though the split is amicable and they deserve all respect for focusing on their daughter during what is one of the most upsetting times a family can go through. Many of us have been deeply invested in the movie star couple over the years; who sizzled together both on screen and off. Unsurprisingly, many people feel affected on a very personal level by this news. First Chris Pratt and Anna Faris and now Channing Tatum and Jenna? Love is doomed. Don’t fail me now Ryan Reynolds and Blake Lively. If Channing Tatum and Jenna can separate and Beyoncé can be cheated on, I have no hope for my future love life. Plenty of people even hoped and prayed this was a slightly late April Fool’s joke. Unfortunately this does not appear to be the case. 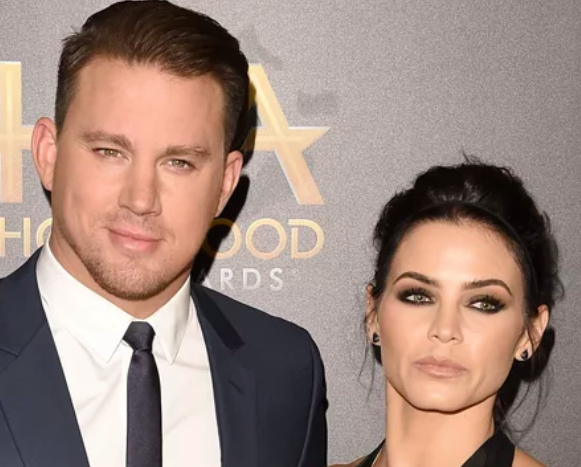 Channing Tatum and Jenna Dewan Tatum are separating. Love is dead. Step Up is ruined. April is cancelled. We wish Channing, Jenna and Everly all the best at this difficult time. Let’s hope they can look back with fondness rather than regret on their time together. Way more emotional that I should be over Channing & Jenna splitting up ? ?